Drawing from her many years of experience as a doctor in Zaire, Dr. Roseveare vividly illustrates her own personal journey toward the holiness of God. She has faced many disappointments on the way through her own lack of Christ-likeness - and failures to live up to God's standards of righteousness. 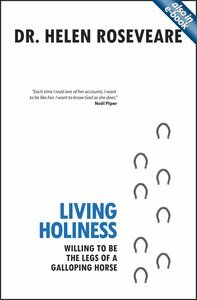 With deep humility, she shares with the reader her faltering steps in the process of learning what it means to be holy as God is holy. She tells others stories of how God leads His people to be more holy. Dr. Helen Roseveare went to the Congo in 1953. She has dedicated her life to serving others even in the deep trials of life. She pioneered vital medical work in the rainforests of what is now the Democratic Republic of Congo, and is an internationally respected speaker with WEC ministries.